What everyone knows as a “Check Engine Light” is called a malfunction indicator light. If the light comes on then you should get your vehicle inspected by a professional mechanic sooner rather than later. Any light that comes on your dashboard that is not there during normal operation should be inspected. Modern cars have several systems and sensors that tell you if different operations in your vehicle are not properly functioning. These lights should not be ignored, especially your check engine light, if it is on then that means you have a trouble code that should be read and diagnosed by one our techs here at D’Avico’s. If the light is flashing then that means you should pull over and call a tow truck because mechanical damage is being done and the longer you drive your car the more damage it will cause. Anytime you have a malfunction indicator light such as a low oil, transmission service or ABS we can help you find out what’s wrong even if you don’t know what the symbol means we can easily tap into your car’s computer and scan for trouble codes no matter the make or model, foreign or domestic we can fix it. Don’t delay when looking to get your vehicle serviced once your check engine light comes on, chances are it can be as minor as a loose gas cap. But it’s best not to take chances when it comes to auto repair. We understand that your car, truck or SUV is a major investment and that’s why we want to help you keep it in the best condition possible. From our family to yours, every time you bring your vehicle into D’Avico’s Auto Repair, we treat it like it’s our own. 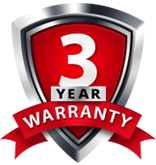 We want to keep you on the road in a car that is both safe and reliable. Is your Check Engine or Service Engine Soon warning light on? Is your car just not running right? Does your car shake when you are sitting at a stop? Does it not accelerate like it used to? Is it surging on the highway at higher speeds? Is your fuel economy suddenly worse? Same amount of gas taking you less far? This can be an indication that your fuel injection or electronic engine controls are having a problem. D’Avico’s can help! We specialize in computer-guided diagnosis and we use factory level scan tools for the proper diagnosis every time. Contact us today to schedule a check engine light appointment or make a reservation online. You can count on our repair shop for an honest and reliable diagnosis of problems and quality repair.